Mark your calendar! The date has been announced for the 2019 Olivier Awards, toasting the best in West End theater. The next edition of the beloved awards ceremony will take place on April 7, 2019 at London's Royal Albert Hall. 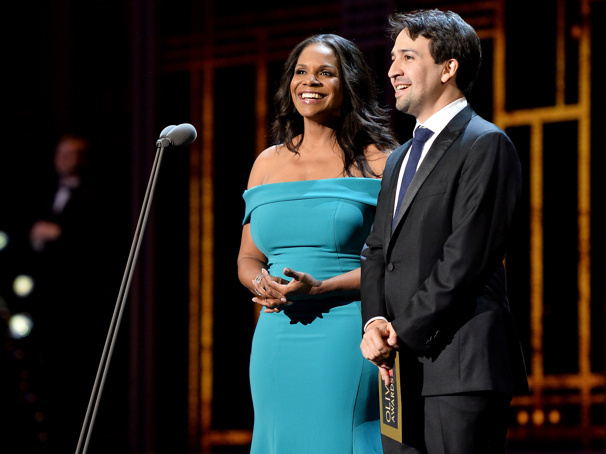 Established in 1976, the Olivier Awards celebrate the world-class status of London theater. The awards are presented by the Society of London Theatre, a not-for-profit organization representing the London theater industry. Winners of the 2018 Olivier Awards included Hamilton, Angels in America, Follies and The Ferryman, which is currently in previews of its Broadway transfer. Watch Hamilton's King George break the news of the Oliviers date below.